Family-owned since 1949, Forest Construction Co., Inc. (license #398317) remains one of the South/Central Coast’s most distinguished builders, having been consistently ranked among the “Top 500 Builders” nationally in Qualified Remodeler magazine and voted Favorite Contractor by the Ventura County STAR readership. 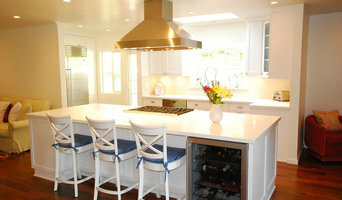 Our team is your one stop shop for construction and home remodeling projects in Los Angeles since 1987. Throughout the years, we have worked diligently to make a name for ourselves in the industry. RANKED #1 in VENTURA - SANTA BARBARA - THOUSAND OAKS - CALABASAS - MALIBU Custom Home Builder and Luxury Home Remodeling. 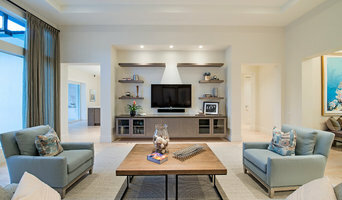 Earning 5 STAR REVIEWS from our clients, your neighbors Founded in 2007, AAA Development, Inc. builds custom homes and remodels luxury homes in Santa Barbara, Thousand Oaks, Calabasas, and Malibu and is honored to be ranked #1 in Ventura on Houzz.com. There are 3 reasons why. 1-Process 2-Team 3-Execution Our Process: AAA Development understands that you want your own special place that reflects your style and taste. Our process allows you to describe what you want, the design team draws it, you approve it, and we build it. Our Team: AAA Development assembles a team for each project, based on trust, in collaboration with architects and interior designers. We use top sub-contractors and suppliers for each project to guarantee the highest quality building standards and a 5-Star client experience. Execution: Our clients expect the best and refuse to take unknown risks to cut costs. Close attention is paid to the requirements of time, budget, design, and craftsmanship. Years of experience have increased expertise and capacity to integrate state of the art systems, value engineering, as well as practical solutions to unique and common design challenges. Your first step is to schedule a complimentary idea session to discuss your project. Free estimates are always included. AAA Development, Inc. invites you to join their exclusive client community by calling 805-256-1429 or by contacting Mike Saey at mikeseay@AAADevelopment.biz. The foundation of our success is in understanding your dreams and goals for a better home. From concept to the finished project and clean up, we will be right there with you every step of the way. WE ARE HERE TO HELP CALIFORNIA FIRE VICTIMS The southern California fires have devastated our homes, but our community will survive and rebuild. If your home has been recently damaged by the fire, we hope that you and your loved ones were able to evacuate unharmed. Amendt Construction is here to help you move forward in rebuilding your homes and regaining normalcy to your lives. Please visit our website for more information - <a rel="nofollow" target="_blank" href="http://www.amendtconstruction.com/firerebuilding/">http://www.amendtconstruction.com/firerebuilding/</a> Amendt Construction is owned and operated by Monte Amendt, a CA licensed General Contractor with over 30 years of construction experience in Ventura, Santa Barbara, and Los Angeles Counties. Specializing in high-end residential construction and remodeling – we also provide design and architectural support including engineering for your project. Our success is attributable to our attention to detail and strong client referrals, where every customer is a customer for life. We look forward to hearing from you to discuss the possibilities of working together on your upcoming project. OUR COMPANY’S MISSION Our mission is to build a trusting relationship where creativity and customer satisfaction is our primary goal. We strive to provide the highest quality of craftsmanship without sacrificing your budget. Personalized Attention to Each Job Each client receives one-on-one attention through the entire process, receiving step by step explanations of basics and details. Professionalism We strive to maintain a consistently high level of professional care and responsibility in each project. We guarantee all of our work to be of the highest quality, as our clients should expect nothing less. Creativity Creativity is achieved through constant input and suggestions by the client. Because each design is driven by a unique customer vision, when each is completed it expands the conception of what is possible. Expect style and design that is classic and will last throughout the years. Client Participation Clients are encouraged to participate and provide input during the design process and throughout construction. We never forget that our job is to make your dream a reality. Founded in 2005, Berardinelli Custom Builders is family owned and operated by experienced craftsmen with a heritage of fine home building and woodworking spanning five generations and rooted in Italy. We do custom home design and construction. We do primarily complete job from the foundation stage and see the project all the way through giving the homeowner the keys to the front door. We have over 20 years of experience in custom home building. All the project pictures you see are our own projects that were designed by us and built by us. Addresses and references can be given upon request. We love what we do and cant wait to get up in the morning to do what we do best. Most homes we have built are between 4,000-10,000 sq. ft. and an average home takes us somewhere in the neighborhood of approx. 6 months to built. We also try to make homeowners happy, safe and secured by reaching a fix flat rate built cost. Legacy Construction and Development Inc.
We are a high end residential and commercial builder with our main offices in Westlake Village, CA . We have new homes and remodels as far North as Santa Barbara and South to San Diego. Barry Chase is a native of Los Angeles and has been providing unparalleled quality of construction for over 40 years. CMF is now recognized as one of Southern California's Premiere Custom Home Builders, known for quality, technology and customer service. Barry knows that addressing the needs of the homeowner requires more than just building a home. It also requires on time and on budget delivery, CMF will guide customers from start to finish with computerized custom estimations, construction schedules and detailed specifications of the construction progress. His team of artisans, managers and service technicians bring construction to a new level, and management to your project. Our mission is to create beautiful, livable spaces that meet our client's aesthetic, functional, and economic goals, while respecting the environment. We specialize in a wide array of construction practices and provide superior service at a price you can afford. It is this attention to detail and dedication to our customers that sets us apart from other companies. Driven by the passion for home design and construction, Everlast Home builders is a group made from seasoned professionals that share the common purpose of delivering the best quality, pricing and time efficiency to any home building project. Every person at Everlast Home Builders is ready to take any given project and deliver the best quality in the industry. We can guarantee that all our provided services involve all the human resources, infrastructure and knowledge needed to succeed in terms of time and budget constraints while giving the best experience for you and your family. From small tasks such as window replacement to a complete house overhaul or construction from scratch, our company has made name for itself about quality and commitment for every project. There's no goal we haven't accomplished in the past and we don't plan on giving up that reputation. We want our customers to feel completely happy with the decision of letting us be a part of their project. We build as if it was our own home. Given the fact that many use to claim to be the best option, we prefer to let our customers give their opinion about our job. You can read the comments about their impressions on our site so you can be sure that what we say is also what our customers have experienced. Feel free to contact us and let us join your most exciting home projects, you won't have any remorse once you join all the satisfied families that our company has left though our history. US Home Developers is a construction and remodeling company that is committed to top notch quality work and happy customers. The foundation of our success is in understanding your dreams and goals for a better home. From the concept and design sketched on a piece of paper to the finished project and clean up, we will be with you every step of the remodeling, home improvement, or residential ground up construction process. We also believe in incorporating sustainable product and methods into each project as we strive for better building and construction practices. With many years of expertise in kitchen and bathroom remodels, room addition, roofing, patios, and other services, why go anywhere else? Give us a call today for your next home improvement project! At Abbe Builders in Thousand Oaks, we have a team of experts that handles every aspect of the home construction process. The versatile talents and the high level of experience of our team provides a streamlined process, saving your time and money. We offer home addition services that not only expands your home’s possibilities but are also customized to suit your lifestyle. You might have fallen in love with a smaller house in a great neighborhood, but now you need an addition for your growing family. Or maybe your lifestyle has changed and you just want to add an entertaining space. Our room addition services are designed specifically to meet those desires. Our team also combine market strategy, creative vision, and effective execution to deliver new construction solutions that meet your requirement. We are experienced in the development of multifamily and luxury single-family real estate. Our team’s knowledge and in-depth understanding of market dynamics, together with our expertise in zoning, design, and construction enable us to reduce all the hassles of new construction. We are driven by our core vision which is to create desirable communities and stunning living spaces through innovative and efficient designs that enhance your lifestyle experience. Contact us today on (805) 904-1797 or visit our offices located at1760 E Avenida De Los Arboles Ste 197, Thousand Oaks, CA 91362, and discover more about our services. Powell Construction LLC is one of California's premier general contractor's specializing in ground up custom home building, additions and large scale remodels. Vision Building & Remodeling Co. is a Thousand Oaks, CA based residential construction company that has been building & remodeling fine homes for more than two decades. We specialize in all aspects of residential construction, from custom homes to additions, kitchens, bathrooms and hard-scapes. We also do architectural design, plans and permits as shown in two of the projects in the gallery. We take pride in being craftsmen who learned the trades from the bottom up, then created a company to do what we enjoy. We have extensive "in house" knowledge and skill in design, building trades, methods and materials for any residential project. With us, you don't need to hire a architectural designer and a general contractor who then hires the framer and the plumber and the electrician etc. With all these skills under one roof, we are able to provide a comprehensive package that saves time and money. When you meet with the owner of Vision Building to discuss your vision, you will be talking to someone who has 25 years of "hands on" experience in fine home building and remodeling. We earn our living doing the job, not selling it! Vision Building Guarantees: · Personal attention from the first meeting to project completion. · Planning and design ideas to enhance project and save money. · Specifying products & materials that are combination of quality and value. · Treating your home and property with respect. · Absolute dedication to quality workmanship. · Daily progress on the project. · Always mindful of clients budget and time. · Communicating clearly, and in advance, on all issues of importance. · Final product exceeds expectations. You won't want us to leave......even when the job is done! What’s the most important step in building a new house from the ground up? Many people would say it’s choosing the right Westlake Village home builder. Constructing a new house is a huge and multifaceted undertaking, so it’s important to find custom home builders in Westlake Village, CA you can trust to bring your vision to life, as well as keep the process under control from start to finish. Although a construction job is never without surprises and challenges, a Westlake Village, CA home builder who’s a good fit for your specific project will make these far easier to handle. For Westlake Village residential home builders who also act as developers, the job starts well before the first nail is driven. They perform local market research to determine whether the prospective homesites make sense in the Westlake Village, CA market, as well as survey the land on which the house will be built to make sure it is suitable for construction. Custom builders also obtain the necessary permits. A good custom home builder in Westlake Village, CA has skills that go far beyond construction — he or she must supervise subcontractors and artisans; keep tabs on local zoning regulations, building codes and other legalities; inspect work for problems along the way; and perform dozens of other roles that are essential in building a quality house. Here are some related professionals and vendors to complement the work of home builders: Interior Designers & Decorators, Landscape Architects & Landscape Designers, Architects & Building Designers, Kitchen & Bath Designers, Specialty Contractors. House builders are responsible for ensuring that the home-building project sticks as closely as possible to the specified timetable, particularly in the event of change orders. Custom and luxury home builders in Westlake Village, CA also need interpersonal skills to deal with clients of all types, soothe frazzled nerves, negotiate conflicts and resolve problems. Find custom home builders in Westlake Village, CA on Houzz. 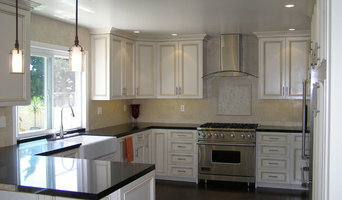 Narrow your search in the Professionals section of the website to Westlake Village, CA home builders. You can also look through Westlake Village, CA photos to find a house you like, then contact the builder who worked on it.